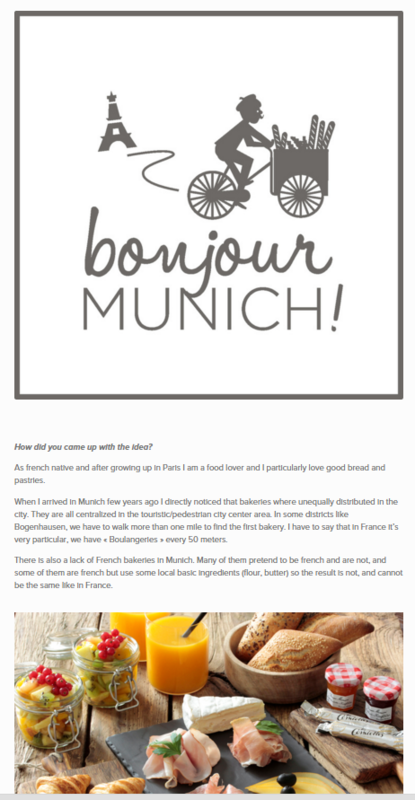 Breakfast lovers attention please: Bonjour Munich – the city’s first breakfast delivery service! 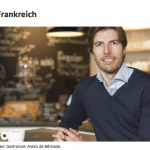 Short interview with Alexis de Béchade, founder of this great service. As french native and after growing up in Paris I am a food lover and I particularly love good bread and pastries. When I arrived in Munich few years ago I directly noticed that bakeries where unequally distributed in the city. They are all centralized in the touristic/pedestrian city center area. In some districts like Bogenhausen, we have to walk more than one mile to find the first bakery. I have to say that in France it’s very particular, we have « Boulangeries » every 50 meters. There is also a lack of French bakeries in Munich. Many of them pretend to be french and are not, and some of them are french but use some local basic ingredients (flour, butter) so the result is not, and cannot be the same like in France. Our main concept is the delivery. And especially our delivery slots which start from 7am until 2:30 pm, 7 days a week including Sundays. People in Munich are used to order for dinner, less for lunch, and not yet for breakfast and that’s our main idea. We wanted to bring something new in the city. Munich is a little bit late compare to her big sisters like Berlin, Paris or London. Munich is a young city and things are finally moving on.